It’s a quiet Sunday here in the Dekkers-household, and I’m feeling a bit under the weather….. However, absolutely nothing will get me in a foul mood today. 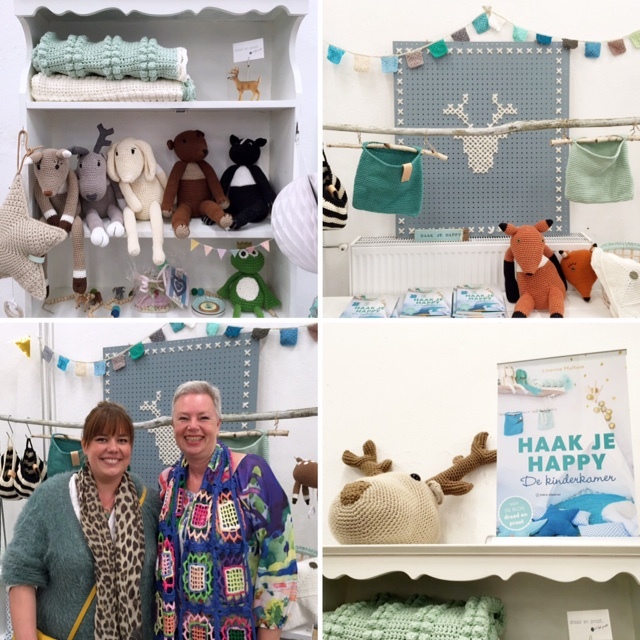 Just thínking of yesterday’s exciting and fun-fun-fun book launch&crochet party at Echtstudio is making me smile from ear to ear again. 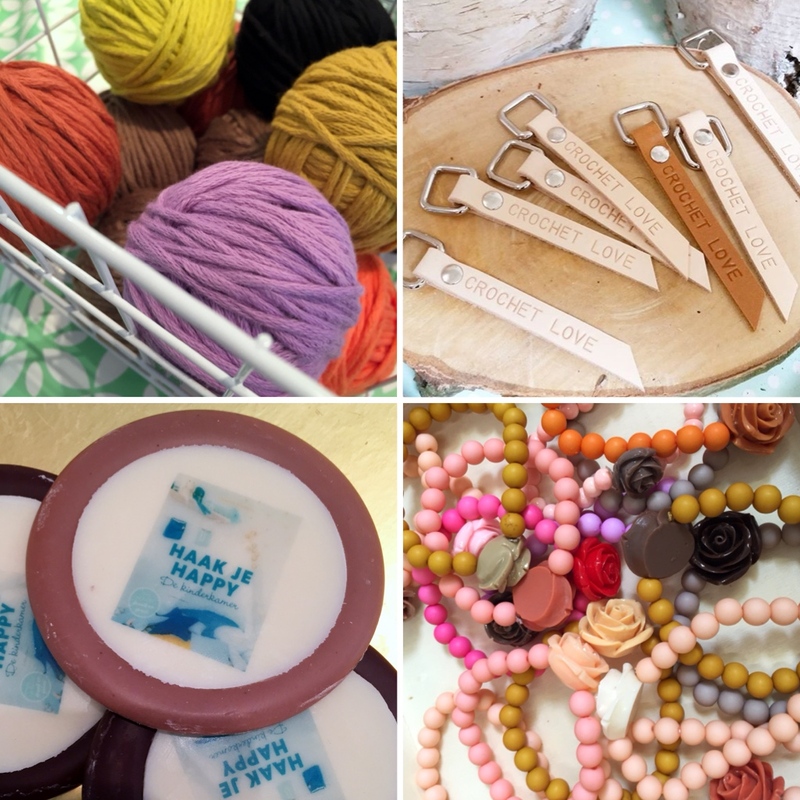 My lovely and supertalented CraftKitchen colleague Lisanne‘s (“Draad en Praat”-blog) first crochet book was officially presented there, and boy, does she know how to throw a party! The wonderful Echtstudio shop was decorated with Lisanne’s distinctive touch and colors, there was delicious food (the cakes! ), drinks, market stands from other great makers (“Mez11”, “Photogeniki”, “HuisenHaak”, “Happy Finny”), workshops, an awesome goody-bag, and of course: heaps of creative people. New friends – thus far only known through social media – and old ones, and I think there’s only one conclusion to be drawn: creative people are one of the kindest ever, and I love spending time with them! As to the book: it’s won-der-ful! 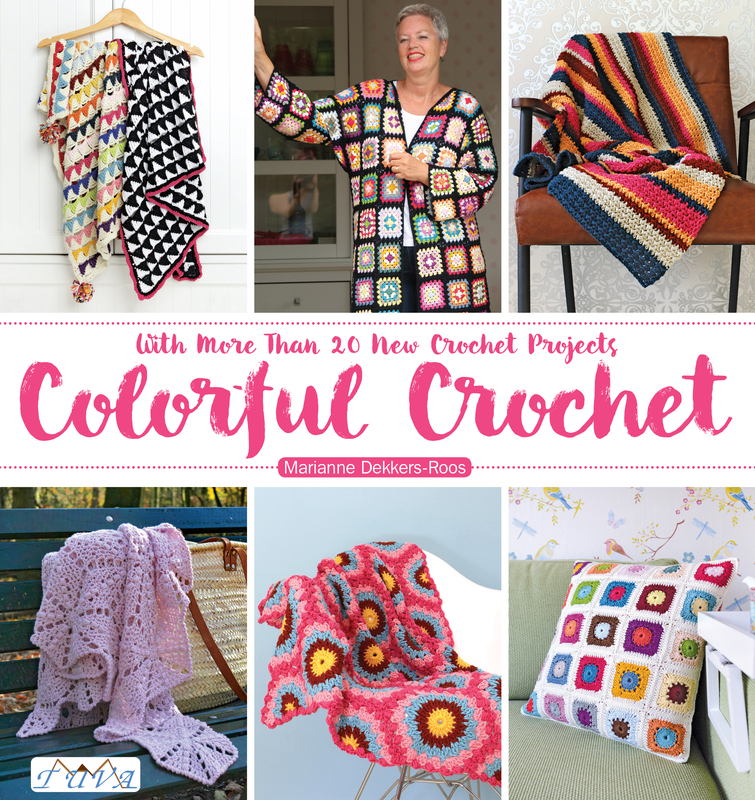 Chockfull with a fab variety of patterns, and ideas – all very inspiring. Lisanne has done an excellent job, and to me that’s no surprise! Too bad it’s only available in Dutch, I’m all for an English version too. When a friend launches a book, and hosts a party, you bring a present, right? 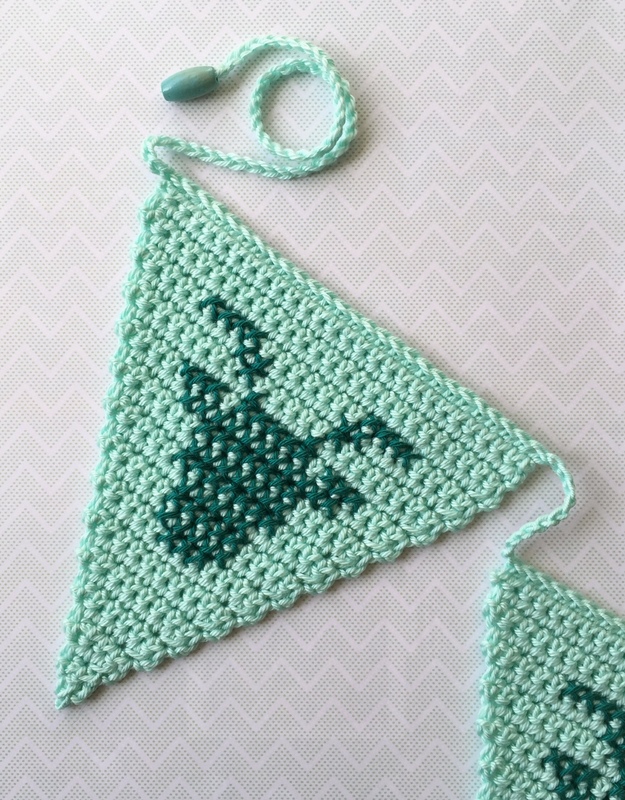 Knowing Lisanne’s favorite colors, and her love of deer all to well, I made this cute little bunting for her. My first time cross stitching on crochet: loved it! 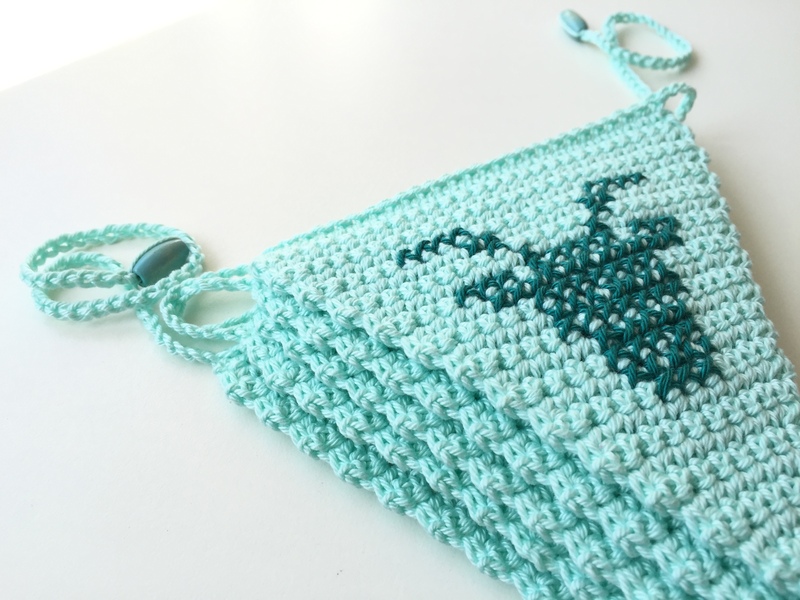 For the pattern, I used my own crocheted triangle tutorial, but started with a chain of 27, crocheted 29 rows in total, and omitted the single crochet stitches along the sides (I liked the picot-look). 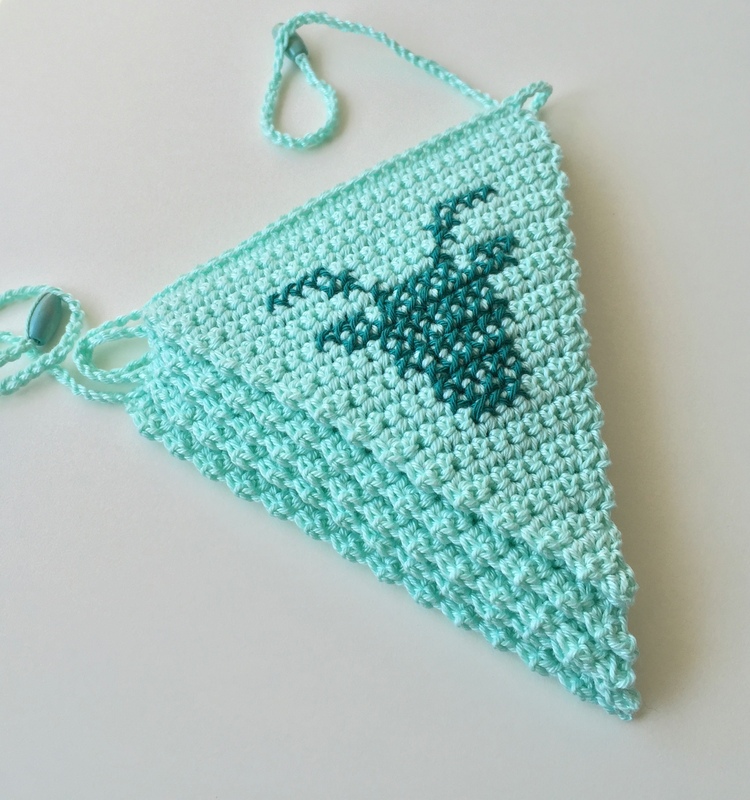 I then found the perfect deer-cross stitch pattern via Pinterest, crocheted them together, and after some serious blocking my deer bunting was ready to be gifted! Given my determination to finish my “Rustic Lace Square”-blanket real soon (current status: 93/132 squares), my biggest problem at the moment is that I told myself that I can not start one (or more) of the lovely projects from Lisanne’s “Haak je Happy” – I wonder how long I can keep to that resolution …..
Wishing you all a very happy Sunday! 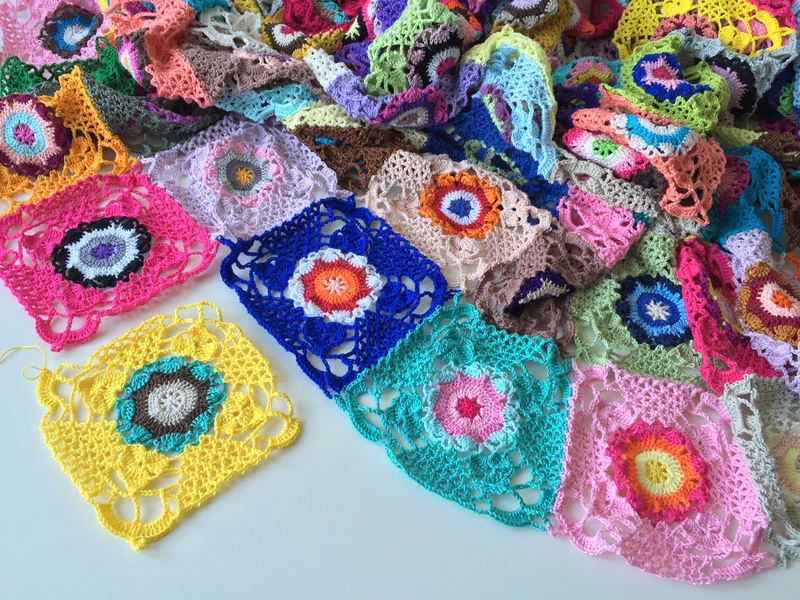 I live the rustic square and CAN’T WAIT to see the finished blanket – take that as your motivation!! 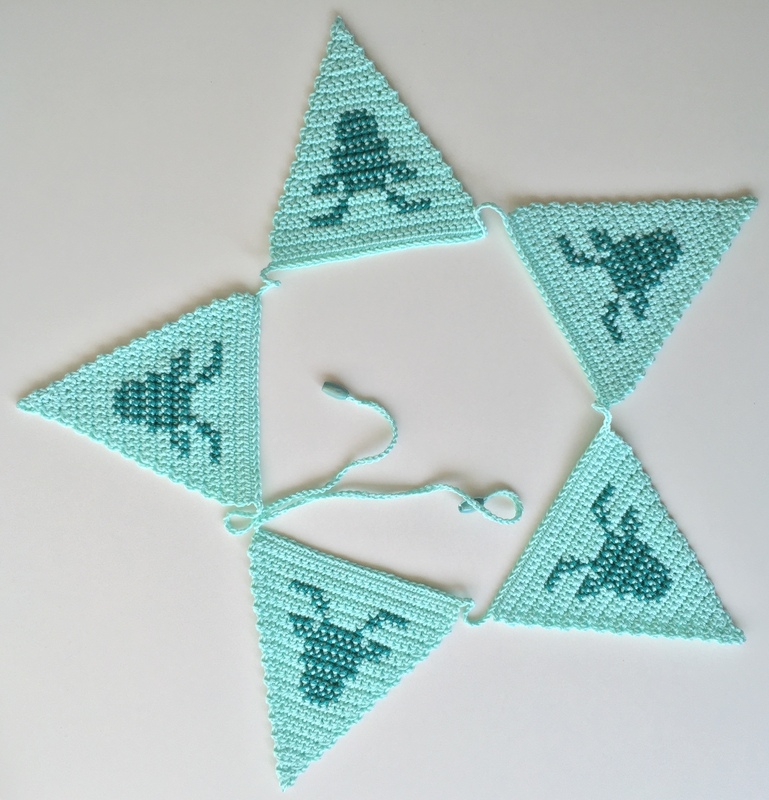 The triangle bunting was a very thoughtful and appropriate gift to take along to what was obviously a fab event. Wat een fijn blogje Marianne ! Zo goed beschreven…wat is dat bijzonder, die heerlijke sfeer tussen al die haaksters! Lisanne had alles weer zo goed georganiseerd,en haar boek is zo gaaf! En jou kado is natuurlijk helemaal de bom !! zo leuk en mooi!! wat een fijn cadeau!! Dankjewel! Was zo leuk om voor haar te maken!